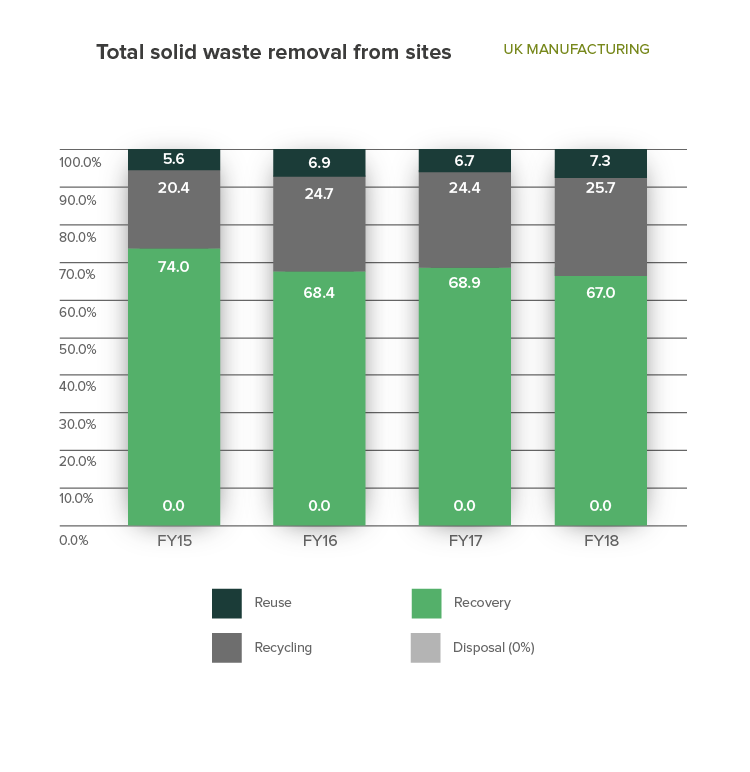 Our priority is to reduce and eliminate waste at source. We are exploring bioeconomy projects to extract value from unavoidable waste materials generated from our operations. We are committed to the UN Sustainable Development Goal target 12.3 to halve our food waste by 2030. 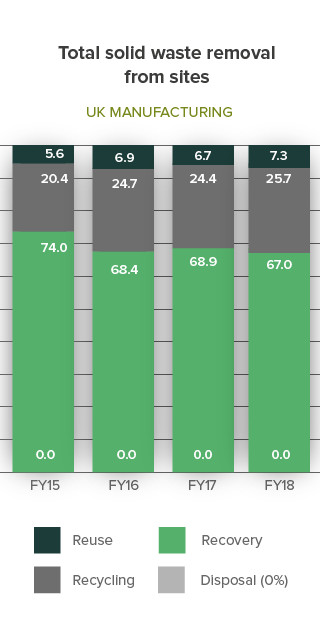 In September 2018, we published our food waste inventory for FY17, which provided a comprehensive assessment of food waste to all destinations and established a baseline of 10.7% food waste as a percentage of production. Our target for 2030 is therefore to achieve below 5.35% food waste. 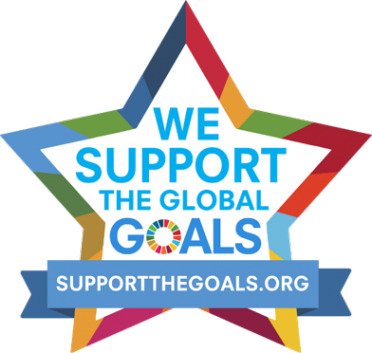 We have been recognised by the ‘Support the Goals’ non-profit initiative which celebrates businesses which support the SDGs. We work with organisations to support the redistribution of food for human consumption. During the year we redistributed 791 tonnes of food to Fareshare and The Company Shop/Community Shop, equivalent to 1.9 million meals. We also established a new outlet with the redistribution charity Felix Project in West London. We support the ‘Plastic Pact’ commitments for 2025 which were signed by the Chilled Food Association on behalf of its membership including Greencore. We have reviewed our use of plastics in product packaging and we are seeking ways to remove it or improve recyclability and recycled content. We are also exploring opportunities to recycle more plastic waste generated through our operations. As part of our celebration of World Environment Day in June 2018 we provided 1,500 reusable water bottles to colleagues to help phase out single-use plastic water bottles in favour of on-site drinking water facilities.